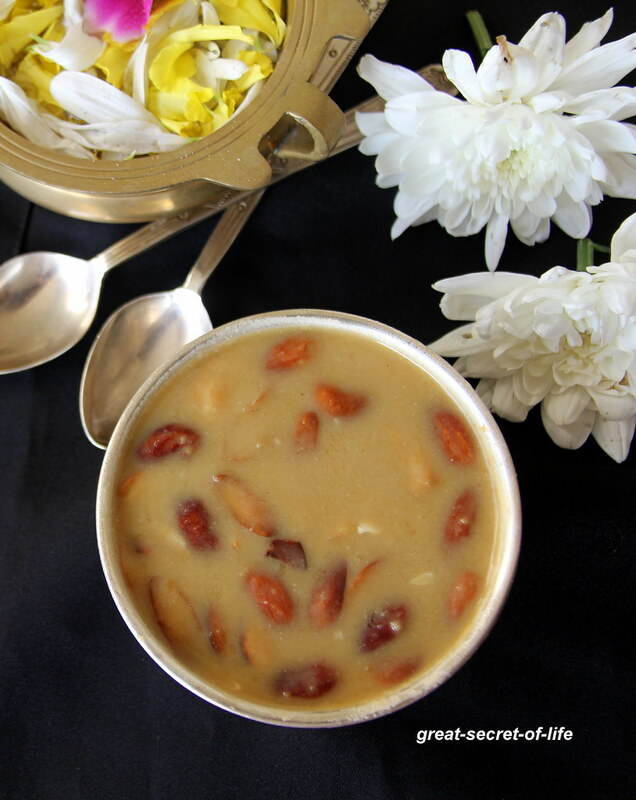 Dal payasam or kheer is really healthy and tasty. I can have this for breakfast. 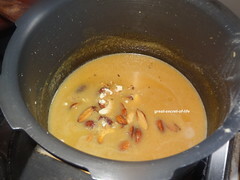 I have posted Moong dal kheer in my space. 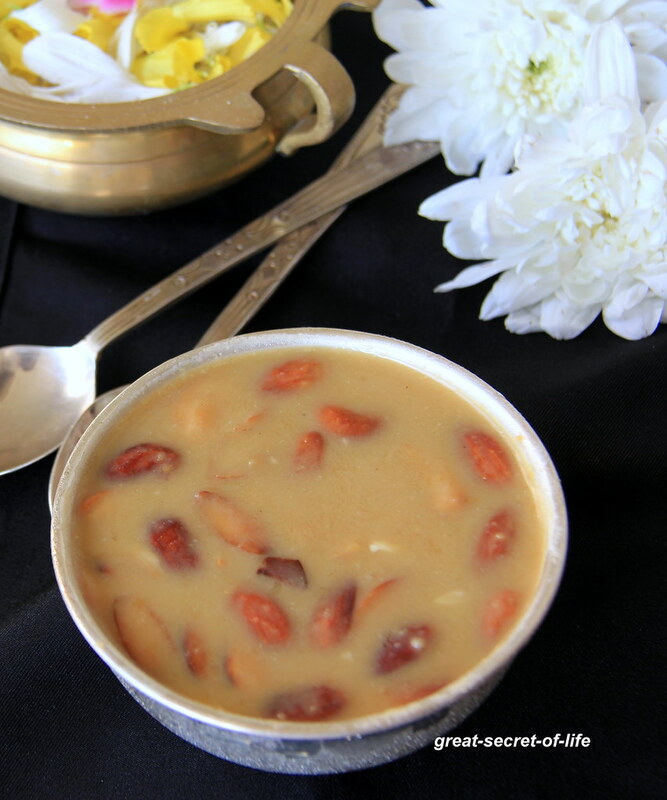 I always love the combination of dal, Jaggery and coconut milk. 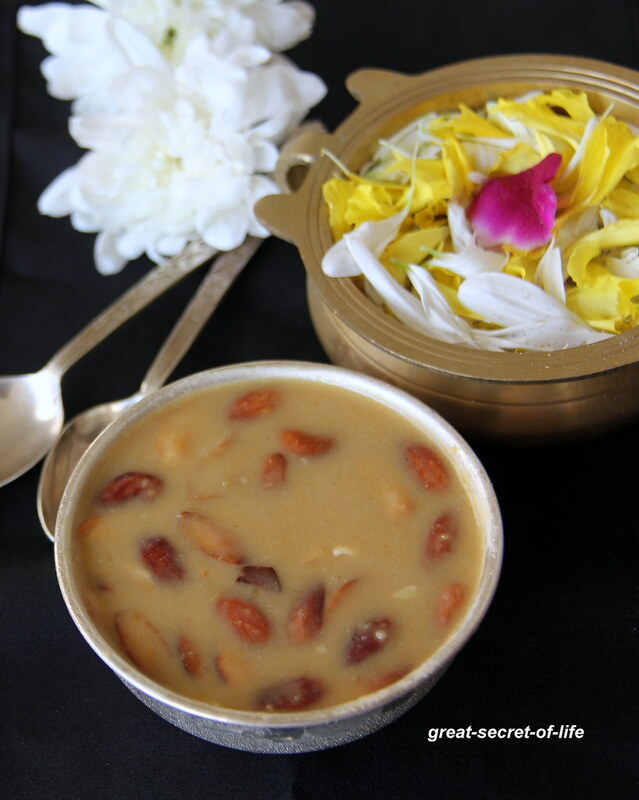 It really tastes divine. 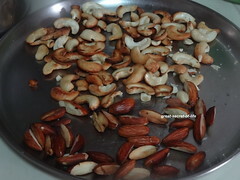 This can good alternative to sweets / desserts which are loaded with refined sugar. 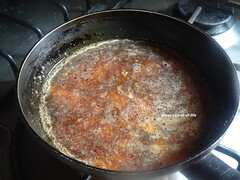 This can be served hot or cold. So Enjoy! 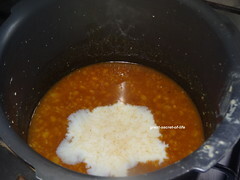 Wash and cook Dhal with enough water. I pressured cook till 4 whistle. 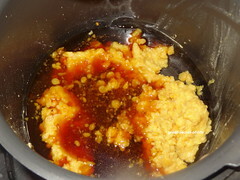 Dhal shouldn't be mushy. Switch it off and let it cool down. 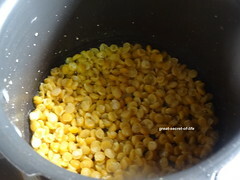 Heat the ghee in a pan add cahewnuts. 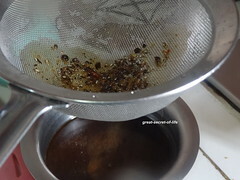 Remove it and keep it aside. 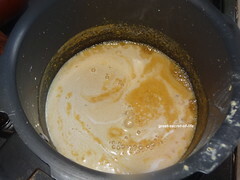 In a pan mix jaggery and 1/4 cup of water cook until the jaggery dissolves completely, let it boil for 2 mins and off flame.